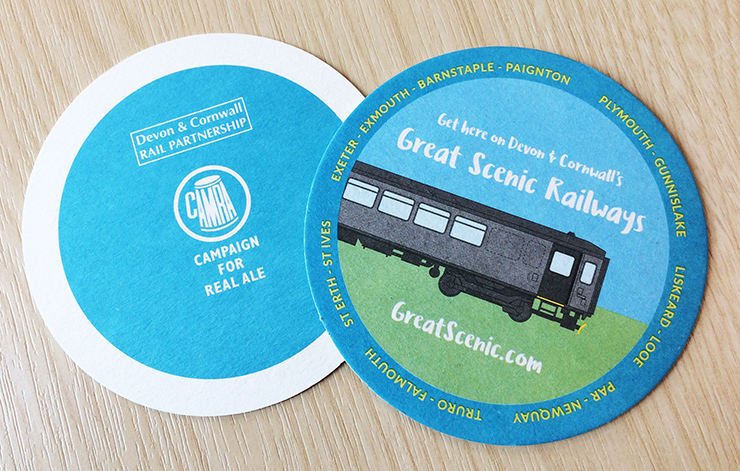 The Devon & Cornwall Rail Partnership is working with the South West region of CAMRA and its local branches to promote rail travel and support real ale pubs. 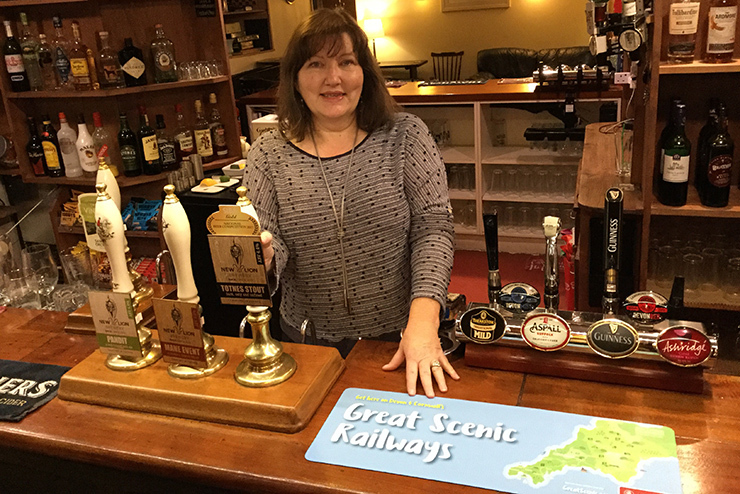 The Partnership has produced bar runners (shown above at the Bay Horse Inn, Totnes), posters and beer mats that are being distributed by CAMRA members in local pubs. 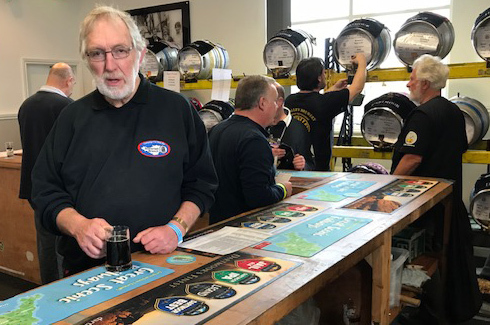 The project aims to encourage sustainable travel and to prompt people to explore other real ale pubs in the area by train using CAMRA’s WhatPub website. As part of the project, CAMRA’s North Devon branch asked if anything could be done to improve access by train to the difficult-to-reach Portsmouth Arms on the Tarka Line (Exeter-Barnstaple). The Partnership and CAMRA came up with a couple of suggested changes which would allow people to visit the pub for Sunday lunch. 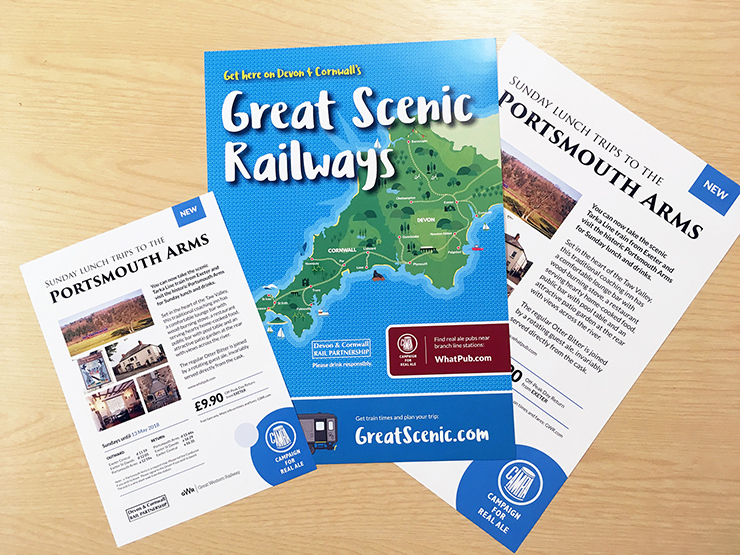 Following discussion with the local rail users’ group, the Tarka Rail Association, these suggestions were put to GWR and the changes came in with the new timetable this January. A flyer and poster have been produced for the new Portsmouth Arms opportunity and these were distributed by CAMRA at the Exeter Festival of Winter Ales held at Exeter Football Club. The project has been part funded by the Designated Community Rail Development Fund.